Now that Nikon has announced both the Nikon Z6 and the Z7 mirrorless cameras, it is time for us to take a closer look at these cameras in and go through some of the most important features. Without a doubt, the Nikon mirrorless system is one of the most highly anticipated releases in Nikon’s history. And given that Nikon is moving up to a much larger Z mount, existing Nikon shooters might be wondering whether it is worth moving to the new system or not. In this article, we will explore all the key features of the Nikon Z cameras in detail and see what they have to offer when compared to their DSLR counterparts. Let’s go through the most important and interesting features of the camera and discuss everything I was able to find on these new cameras. It turns out that Nikon has made some mistakes on its official website, which have now been rectified (for the most part). For example, the initial video recording specification for both cameras stated “approximately 15 minutes of movie recording”, which turned out to be a typo. It has been changed to “approximately 85 minutes of movie recording” since the last update. that’s a massive difference in recording time! Additionally, it turns out that Nikon Z lenses are not all going to be labeled “S-series” – apparently that’s reserved for high-end / pro level lenses. Nikon is planning to launch non-S series lenses in the future, which will be consumer / enthusiast grade as well. There are a few notable differences between the cameras, but the most important one is the price – the Nikon Z6 is priced at under $2K, while the Nikon Z7 is priced at $3400 MSRP. Pricing will definitely affect purchase decisions of many photographers out there, with many leaning towards the Z6, so we estimate that the demand for this camera is going to far exceed that of the Z7 in the long run. If you had a chance to see Nikon’s Special Event Livestreaming, you might have noticed how much attention was given to the new Nikon Z mount. Indeed, Nikon put quite a bit of thought into making a future-proof mount that is large enough to accommodate modern lens designs that can be as fast as f/0.95. With Nikon F being almost 60 years old and having its own set of challenges when designing lenses, Nikon decided to move forward with something totally new, something the company can grow on. The new Nikon Z mount is 17% larger than its predecessor, thanks to its inner diameter of 55mm (a throat size of 52mm). This, coupled with a 16mm flange distance will allow Nikon to make lenses that were much more difficult to design with the Nikon F mount. Going forward, Nikon will be putting quite a bit of research and development into the Nikon Z mount and as we have already covered, the new Nikon Z lens roadmap includes a number of great options from super wide-angle lenses such as the Nikon Z 14-30mm f/4 all the way to 70-200mm f/2.8 professional-grade lenses, as well as fast primes such as the Nikon Z 58mm f/0.95 and 50mm f/1.2. At the current pace, Nikon is planning to release 4-6 S lineup lenses each year, the higher-end lenses for the Nikon Z system, as well as additional consumer-grade lenses. Since its inception, Nikon has never had a camera with in-camera image stabilization (IBIS) – the company has always pushed stabilization to its lenses. The Nikon Z6 and Z7 mirrorless cameras are the first in Nikon’s history to incorporate IBIS, which is a pretty big deal! We have already written about the benefits of in-body vs lens stabilization, but the short version is that IBIS is better for short focal length lenses, while lens stabilization is better for telephoto lenses. The true potential of stabilization is achieved when the two are combined and that’s exactly how Nikon is planning to roll out Nikon Z-series lenses in the future. As of today, all three Nikon Z lenses that came out (24-70mm f/4, 35mm f/1.8 and 50mm f/1.8) don’t have lens stabilization, because the camera will do a better job with IBIS. However, once Nikon starts rolling out longer lenses like Nikon Z 70-200mm f/2.8, we will see vibration reduction on those lenses as well, and the system will be able to take advantage of both IBIS and VR at the same time, delivering superb levels of stabilization that we have never seen before. The big benefit of IBIS (and to be honest, the primary reason why I am personally investing in the Nikon Z), is that you can use it with legacy glass. I have a few legacy NIKKOR primes that I have been waiting to use with a mirrorless camera and I just can’t wait to mount my NOCT-NIKKOR 58mm f/1.2 on the Z7 and see it stabilized! In addition to this, being able to zoom in on the subject at 100% and focus while composing is a huge benefit of the mirrorless system that one should not underestimate. Speaking of zooming in and focusing on a subject, if you are a DSLR user and you have used fast aperture lenses like the Nikon 85mm f/1.4G, you know how difficult it can be to acquire precise focus on a subject. And if you have tried using manual focus lenses, it is even more difficult, because the green “in-focus” dot is very inaccurate, especially on modern high-resolution cameras. In many cases, one ends up taking lots of images to be able to have one in-focus image, which ends up wasting a lot of time and memory card space. Some DSLR users look for ways to swap out the focusing screen to something more usable, since optical viewfinders just don’t have enough magnification to be able to see enough detail on a subject to be able to properly focus. And it is even worse when shooting with DX / APS-C DSLR cameras, since their viewfinders are tiny! With mirrorless cameras, you do not have to worry about viewfinder magnification or swapping focus screens, because you can just zoom in on your subject right in the electronic viewfinder (EVF), verify or tweak your focus as needed, then take a picture – no more guesswork involved. This means that you can significantly improve your ratio of in-focus vs out-of-focus images significantly, all thanks to a “what-you-see-is-what-you-get” electronic viewfinder. 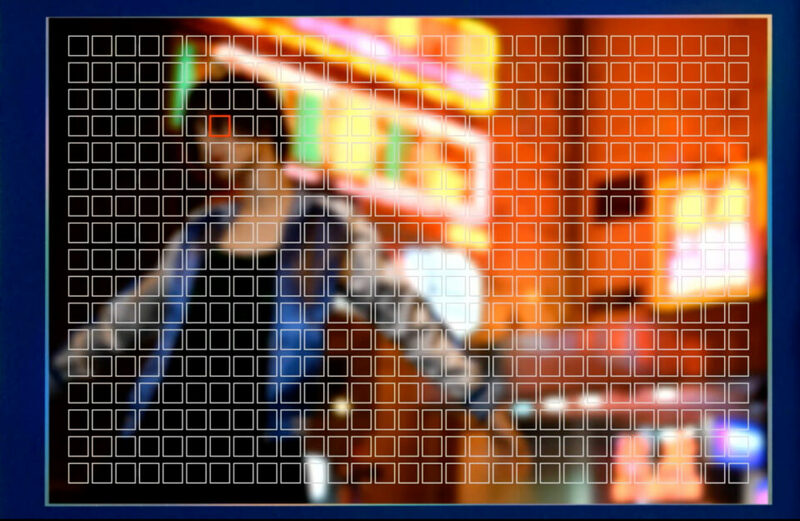 In addition, you will be able to take advantage of the EVF for things like focus peaking (where the “in-focus” area of the subject is highlighted with lines / dots of specific color), as well as viewfinder image playback. No more Hoodman HoodLoupes to attach and lug around, as you can just use the bright viewfinder to review images, zoom in / out of them and more! Wondering why there is no “Exposure Preview” button on the new Nikon Z-series cameras? Well, that’s because that button is only relevant to DSLR cameras, where lenses are always wide open to be able to provide enough light into the camera. With mirrorless cameras, there is no need for an exposure preview button, because the electronic viewfinder will display exactly what you are about to capture. You will not run into the issue of seeing a bright subject, only to end up with a dark picture anymore. If you want to see what the image will look like stopped down, you just stop the lens down and you can see exactly how much depth of field you are going to get. Lastly, EVFs can display a lot more information than OVFs, and some of the information can be very useful in the field. For example, you can display a histogram before you ever take a shot, and if you are wondering about what focusing mode you have selected, you no longer have to take your eyes off the viewfinder – all of that information can be turned on / off in the EVF. Both Nikon Z6 and Z7 cameras are mirrorless, which means that they are equipped with high-resolution EVF screens that will let you do all this. To be honest, once you try an EVF for focusing and image playback, it is hard to go back to an OVF. 5. Lens Calibration No More! The Nikon Z-series cameras now feature on-sensor hybrid autofocus system, which works very differently compared to the traditional phase detection autofocus system we have seen so far on Nikon DSLRs. There is no need for a secondary mirror, which basically eliminates all AF micro-adjustment issues going forward! 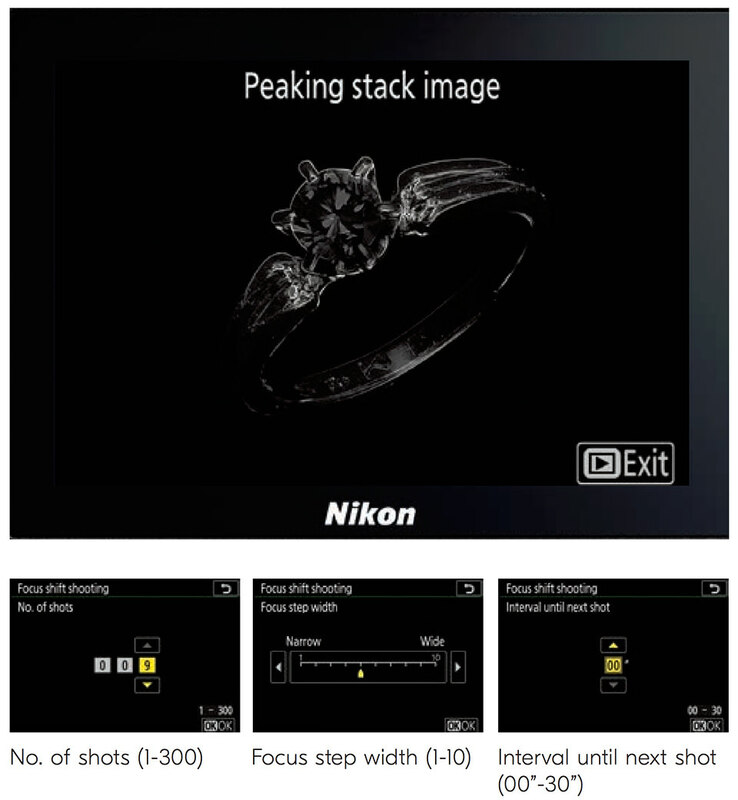 By incorporating phase detection pixels right on the sensor, Nikon is able to perform focus on the image sensor without relying on a secondary focusing system. Unfortunately, many DSLR shooters waste a lot of time and money trying to calibrate their lenses using specific lens charts and software. And even after all the calibration, it is impossible to save different calibration results for different focal lengths and camera to subject distances, which makes the whole calibration process questionable at best. With on-sensor autofocus system, you can finally forget about performing lens calibration going forward! And the beauty of the new system is that you can use any Nikon F mount lenses, even ones that are completely out of whack when it comes to fine tuning, and they will all focus consistently with the Nikon Z-series cameras. With the Nikon Z series cameras, we now have a Nikon F to Nikon Z mount “FTZ” adapter that allows mounting legacy lenses. As of today, the Nikon FTZ adapter will work with all Nikon F mount lenses (a total of 360 lenses), including very old / classic manual focus lenses, but the number of lenses that will autofocus with the adapter is limited to 90 (All AF-S, AF-P and AF-I type lenses will have full AF/AE capability). Unfortunately, the FTZ adapter does not have a screw-drive AF capability, which means that any of the AF-D lenses will be limited to manual focus only. 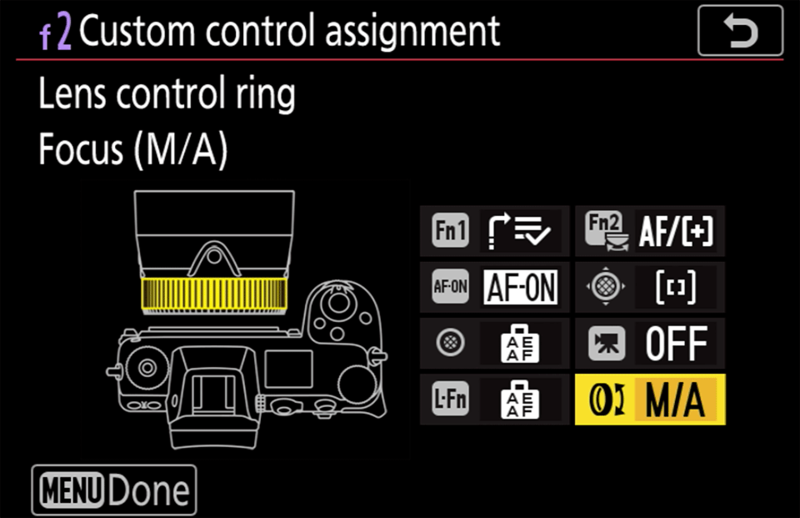 So how can you check which Nikon F lenses will autofocus on the FTZ adapter? If the title of the lens contains “AF-S”, “AF-P” or “AF-I”, you are all set. Any other autofocus lens is most likely going to be an “AF-D” lens, which will not autofocus. Here is what Nikon says officially: “Full AF/AE supported when using FX or DX AF-S Type G/D/E, AF-P type G/E, AF-I type D and AF-S/AF-I Teleconverters”. If you have been stocking up on third party lenses for the Nikon F mount from Sigma, Tamron and other manufacturers, they will work just fine on the Nikon Z-series cameras. It is hard to say if they will work as reliably as they do on Nikon DSLRs, but I am sure third party manufacturers will be testing their lenses and updating their firmware to make them fully compatible, if needed. The important thing is, third party lenses will also be able to take advantage of Nikon’s IBIS. I have tested the Sigma 24-35mm f/2 lens on the Nikon Z7 and I can confirm that the lens seemed to work just fine and its autofocus operation seemed to be functioning normally as expected. With the new Nikon FTZ adapter, you will finally be able to add vibration reduction (VR) / image stabilization to legacy lenses! That’s right, both Nikon Z6 and Z7 cameras will be able to provide up to 5 stops of stabilization for Nikon F lenses with the FTZ adapter using 3-axis image stabilization (Pitch / Yaw and Roll). 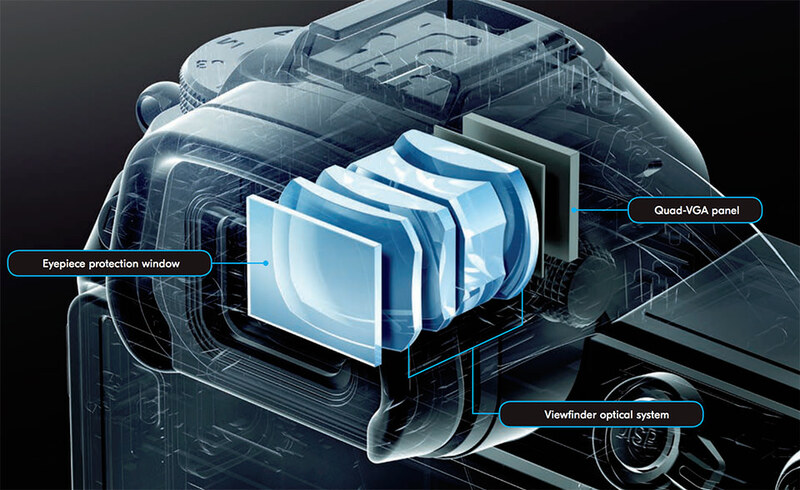 Nikon lenses that already have VR (Pitch and Yaw) will get the added benefit of Roll axis, which means that both in-body image stabilization, along with lens VR will work simultaneously to get the best out of the two. If you get the native Nikon Z mount lenses, you will be able to take a full advantage of Nikon’s 5-axis IBIS, which means that Pitch, Yaw, Roll, as well as X / Y movements will be properly compensated by the camera. This will be implemented on all future Nikon Z mount lenses as well, which is an important difference between Nikon Z and Nikon F mount lenses. Similar to the latest-generation Nikon DSLRs, the Z-series mirrorless cameras do not feature a built-in flash unit. Nikon decided to make these cameras weather-proof and rugged (more on that next), so it excluded this option primarily for that reason. While some photographers might be disappointed with this, as the built-in flash can work nicely as either fill flash or a flash commander for other speedlights, I personally think it is better to trade the built-in flash for improved weather sealing. Many photographers never use the built-in flash and those who do are better off getting a dedicated flash trigger anyway, especially considering how affordable third party options have gotten over the past few years. If you are wondering about sync speed, both cameras will be limited to 1/200th of a second. 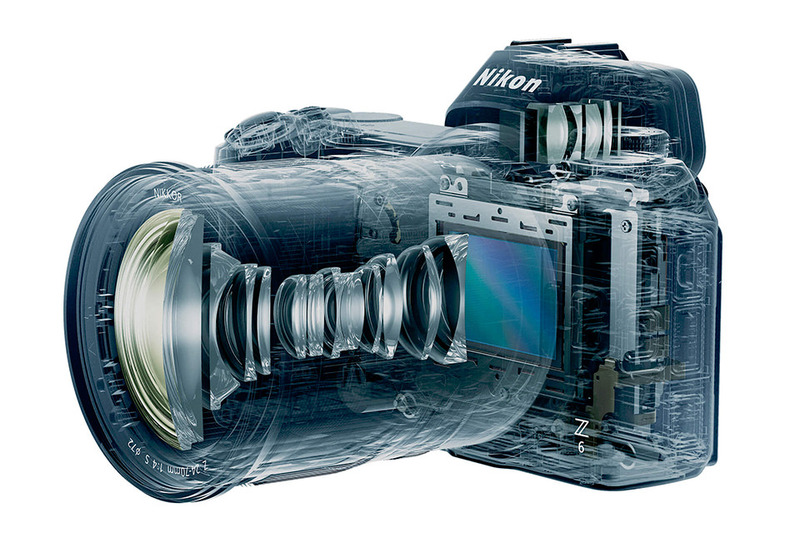 Both Nikon Z-series cameras have full magnesium alloy shells and are fully weather sealed to be able to withstand extreme temperatures and rough weather conditions. Whether you are planning to use these cameras in light rain, sub-zero temperatures or dusty environments, the cameras will be able to survive such harsh conditions easily, being great outdoor companions. Nikon states that the cameras are sealed in many spots, including all the buttons, dials and switches from front to back, just like the Nikon D850 is sealed. Along with the cameras, the Nikon FTZ adapter is also properly sealed, so if you are planning to use the combination with other weather-sealed lenses, you should not have any issues with water, moisture or dust getting into the camera. Similar to Nikon’s high-resolution DSLRs like D810 and D850, the Nikon Z7 will have no optical low-pass filter in order to deliver maximum detail in every shot. The Z7 will be able to deliver high level of sharpness and take a full advantage of modern S-series lenses with their superb resolving power. However, due to not having a low-pass filter, the camera might introduce some moire when photographing repeating patterns. If you are worried about it, check out my article on how to avoid moire and you can also check out my article on reducing moire in Lightroom, as well as in Photoshop. The Nikon Z6, on the other hand, will have a low-pass filter, primarily for the purpose of avoiding moire. While the amount of detail on the Z6 is not going to be as great as on the Z7, it is best to keep a low-pass filter on a 24 MP sensor, which is why Nikon has been doing it on other similar full-frame cameras like Nikon D750. The Z6 and Z7 are the first Nikon cameras to feature a brand new EXPEED 6 processor, which is capable of handling more throughput for faster sensor readout (which comes very handy for shooting 4K video, as explained below), as well as quickly powering up the camera for extremely fast operation. Nikon needed to move up to a faster processor, because mirrorless cameras require a lot more processing power in order to handle things like smooth EVF operation, focusing, smooth image playback, etc. Nikon has been able to create a very smooth overall experience that is practically lag-free, something many other manufacturers often struggle with. One of the biggest issues with most mirrorless cameras are their true start-up time – from the moment you turn on the camera, to the moment you can take the first image. Based on the pre-production models of the Nikon Z7 we played with, it appears that the start-up time on these cameras is impressively low when compared to other mirrorless cameras. You don’t have to wait for the camera to power on – flipping the camera on/off switch to “on” position brings up the LCD / EVF in about a second. Once the camera starts up, there are no additional delays – you can start shooting immediately. 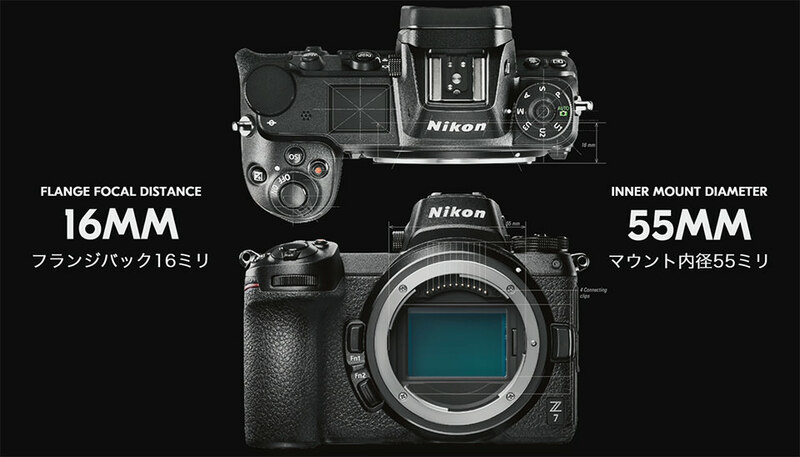 Both Nikon Z6 and Z7 feature very impressive video specifications. First of all, these are the first Nikon cameras that can output true 10-bit video (4:2:2) through the HDMI port (Up to 144 Mbps). This means that you can hook up an external video recorded like the Atomos Ninja and record very high quality 4K video. Second, both cameras will be able to shoot 4K UHD (3840 x 2160) at up to 30p, as well as 1080p HD (1920 x 1080) at up to 120p. Third, the Nikon Z6 can shoot 4K with full sensor readout, while the Z7 downsamples and bins pixels for full-frame video capture. If you want to avoid pixel binning with the Z7, it will be possible to shoot in DX crop mode as well. Fourth, both cameras will provide N-Log in order to capture wide dynamic range, as well as timecode in order to be able to sync video and audio footage. Fifth, Nikon’s in-camera features such as Active D-Lighting, Electronic Vibration Reduction and Focus Peaking will all be available for you to use when recording videos. Sixth, thanks to quiet operation and smooth aperture control of the new Nikon Z mount lenses, you no longer have to worry about loud lens sounds that disrupt video recordings. Seventh, if you are shooting 4K video and you want to take a picture, you can do so by engaging the shutter button – a full 8 MP image will be captured and the video recording will not be interrupted. And lastly, IBIS will function when recording video as well, which means that you can have fully stabilized footage without having to use external stabilization tools. While the Nikon Z6 will only be able to shoot 4K timelapses, the Nikon Z7 will be able to shoot both 4K and 8K timelapses. This is because the Z6 simply doesn’t have enough resolution to shoot 8K footage. 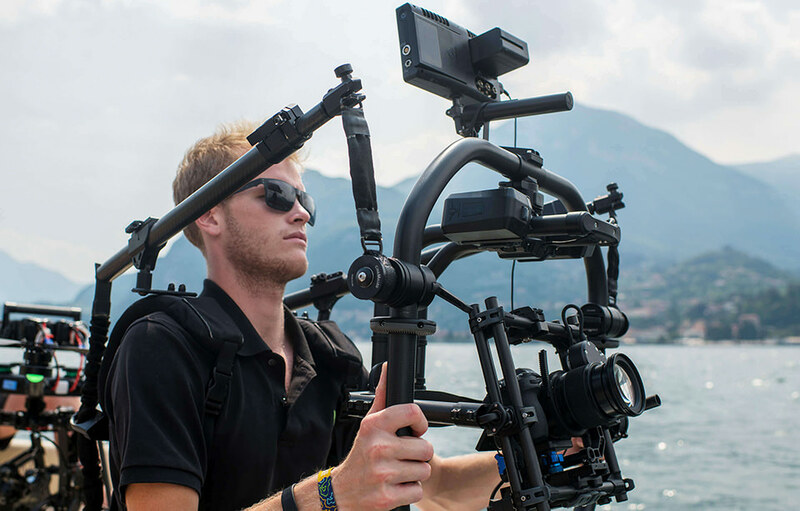 Those who want to record slow motion video will be able to do so in full HD format using the in-camera slow-motion video feature, which can generate both x4 (120/100p footage at 30/25p) and x5 (120p at 24p) slow-motion videos. If you have used a Nikon DSLR before, you will find the transition to the Z-series cameras to be very simple due to familiar ergonomics and the menu system. The camera buttons do what they say and although you can customize a few of the buttons more than on any previous Nikon camera (more on customizations further down below), it does not result in a frustrating experience, where one has to go through the menu system and manuals to figure things out. The menu system on the Nikon Z6 and Z7 cameras is very nicely organized into similar sections as on cameras like Nikon D850. You will find the primary menu sections to be: “Playback Menu”, “Photo Shooting Menu”, “Movie Shooting Menu”, “Custom Setting Menu”, “Setup Menu”, “Retouch Menu” and “My Menu”. Everything is properly organized and easy to find, as on all other Nikon DSLRs, so the experience is pretty much the same. However, due to the availability of more features such as IBIS (Nikon still calls is “Vibration Reduction”), there are more menu options to choose from. In fact, comparing the menu systems, I would say that the Nikon Z cameras have the most detailed menus to date. The cameras will allow saving custom functions for shooting stills and videos separately, so that you can have different customization options depending on what you are shooting. Considering that both cameras are pro-level in terms of camera features (similar menu system as high-end Nikon DSLRs, highly customizable), one would expect the Z-series cameras to have a menu banks system. But that’s not the case – Nikon finally listened and implemented a proper U1 / U2 / U3 user settings system, where you can fully save all the menu options into three different slots, then quickly change between the different settings by flipping between U1, U2 and U3 right on the PASM dial. This means that you can now have three presets that store different settings for different types of photography like “Landscape”, “Wildlife” and “Portrait”. Once you pick the right camera mode and all the menu settings, you will be able to visit Setup -> Save User Settings and permanently store those settings. 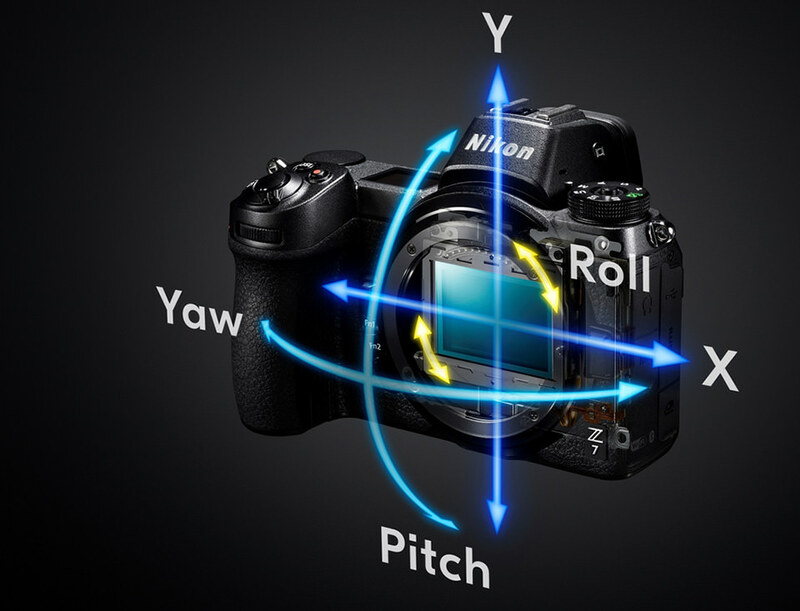 While most of the high-end Nikon DSLRs have two ports on the front of the camera for connecting external flashes via the PC Sync port and Nikon accessories via the 10-Pin Connector, both Nikon Z-series cameras do not feature these ports. While some might find it annoying that these ports are no longer there, I am personally happy to see them go. First of all, most modern flashes can now be controlled wirelessly, so the use of the PC Sync port has diminished to the point where most photographers no longer need it. The 10-Pin Connector is also very old technology and I am happy to see it disappear in the future, because I do not want to see any accessories like remotes being physically connected to cameras. If there is a need for a physical connection, there is still an optional input port on the side of the camera that can be used to connect accessories like WR-R10 to wirelessly release the camera shutter or control Nikon speedlights. Finally, no more slow USB! Nikon went with USB Type-C on both Z6 and Z7 cameras, so that we can take a full advantage of much faster USB 3.1 speeds, as well as better charging options (see section on battery charging below). If you are an Apple MacBook / MacBook Pro user, you will be able to connect to the camera directly without using any kind of adapters or dongles. Unlike all previous-generation Nikon DSLRs, the Nikon Z6 and Z7 feature an OLED display on the top of the camera, which is used to display different types of information, depending on what you are doing on the camera. This is great, because unlike on the LCD screen with set information, the OLED is much more flexible in comparison. In addition, since the information is displayed white on black, it will be possible to see camera settings even when shooting at night. Unfortunately, while going through the pre-production camera settings, I have not been able to find a way to customize information on the OLED screen, but such capability might be incorporated at some point in the future. Fuji already has this capability on its X-H1 and GFX50S cameras, and hopefully Nikon will follow suit. Unlike the Nikon D850 that requires one to be in Live View mode in order to take pictures silently (mechanical shutter is turned off and the camera switches to electronic shutter), the Nikon Z6 and Z7 cameras can shoot silently via EVF, which means that you do not have to take your eye from the viewfinder and switch to LCD. Whether you use LCD or EVF, silent shooting is available for both. 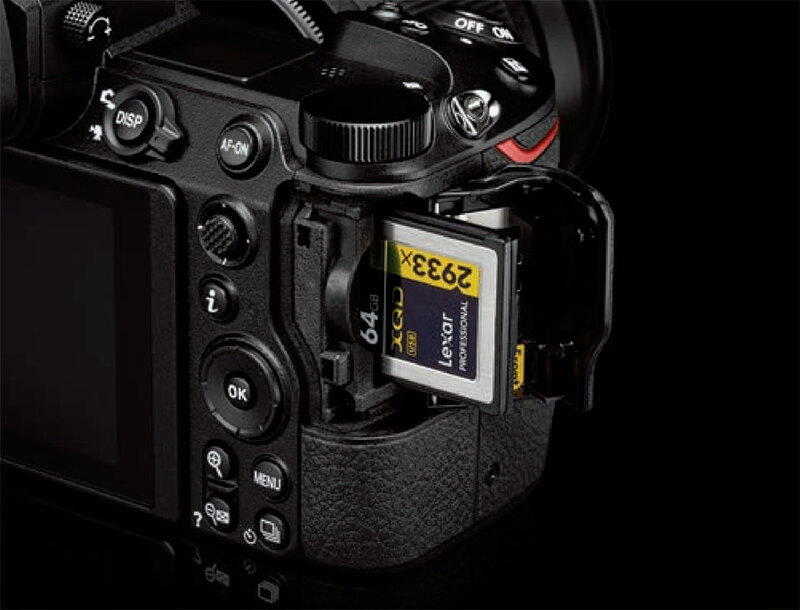 Nikon Z-series cameras have a button on the left side of the EVF that allows turning off both the LCD and the EVF to preserve battery life. 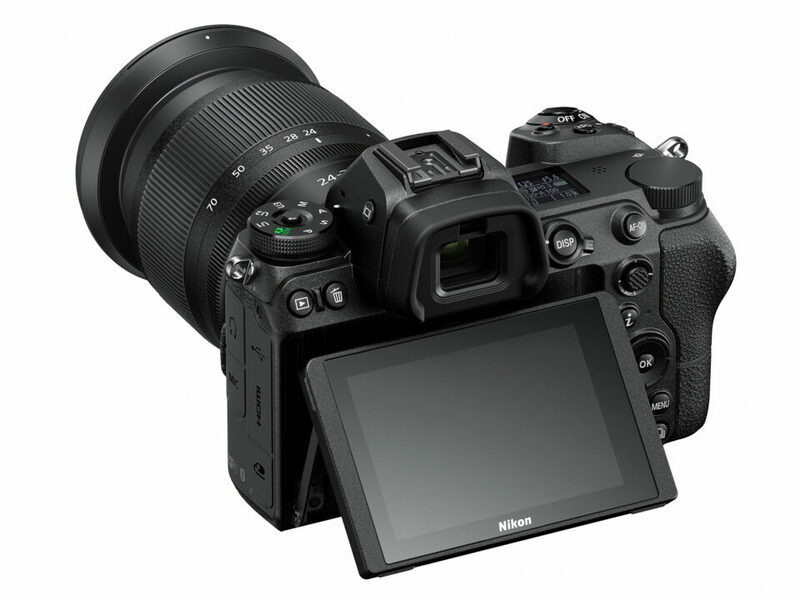 With this mode enabled, the LCD will be turned off by default and only turn on when pressing buttons like “Menu” or playing back images, while the EVF will stay off until the eyepiece sensor is engaged. This way, you can save quite a bit of battery juice, making the camera function only when needed. Using this mode certainly has an impact on how many images you can capture on a single battery charge – see the battery section below about what it can mean for stills shooting in terms of battery life. With the Z6 and Z7, Nikon included the ability to charge the camera battery through the camera, which is great! This means that you can use a real outlet charger to charge one battery, while using the camera to charge another battery at the same time. The trick is, you have to use the new EN-EL15b battery in order to charge over USB Type-C connection – older EN-EL15 and EN-EL15a batteries are not internally wired to be charged through the camera. The nice thing about the camera charge option, is that you will be able to use standard battery packs to charge your camera battery! So if you are traveling and you don’t have access to an electric outlet, you can use battery packs and potentially even solar panels to charge the camera. If you own a bunch of EN-EL15 / EN-EL15a batteries like I do, you will be happy to know that you don’t have to buy new batteries – old batteries will work just fine! I have tested an old EN-EL15 on the Nikon Z7 and it worked without any issues or warnings. While I might not be able to get a lot of power out of them (just because they are pretty old and heavily used), or have the capability to charge them through the camera, I will still be able to take advantage of my stash of Nikon batteries that I can interchange and use between DSLR and Nikon Z cameras. One of the biggest gripes from our readers with the release of the Nikon Z6 and Z7 cameras has been poor battery life. That’s understandable, since Nikon has official CIPA numbers stated as mere 310 for the Z6 and 330 for the Z7, which is way too little, especially considering that Sony’s latest generation mirrorless cameras can take twice as many shots. To be honest, I don’t know how exactly CIPA measures battery life, but my guess is that it must combine use of LCD and EVF while shooting. I knew that Nikon’s EN-EL15 batteries with their 1900mAh of power should have done significantly better than Sony’s original NP-FW50 batteries that are rated at 1020mAh and worse than Sony’s newest NP-FZ100 battery used on the A7 III and A7R III cameras, with its 2280mAh rating. Thus, 300 shots rating by CIPA just didn’t make much sense to me. In addition to this, Nikon first published wrong data on its website, stating that the 4K video recording time was limited to 15 minutes. This sent a huge negative reaction in the photography community, with some people laughing over such poor battery performance. Thankfully, all this turned out to be a typo, which Nikon ended up changing to 85 minutes – a big difference! Another big complaint by many photographers out there is the single XQD card slot on both Nikon Z-series cameras. While it is a legitimate concern and I can understand why some photographers would want to have dual slots, I would like to clarify the reason why Nikon decided to go with a single slot vs two. First of all, dual slots require more physical space, which the Z-series cameras just don’t have much of. Nikon wanted to make the cameras as small and as lightweight as possible, and if two XQD card slots were chosen, the cameras would have to be made slightly larger. Keep in mind that I am not just talking about the physical space where the memory card slot is – there has to be sufficient room inside cameras as well for extra components and all the wiring that is needed for writing to two memory cards simultaneously. Cameras like Nikon D5 have sufficient room for dual card slots, but those are huge cameras in comparison to the Z-series ones. Even fitting an XQD + SD card slot would have been a challenge. Let’s not forget that no other mirrorless camera on the market has XQD card slots – most use SD, even the Sony A7R III and A9. Those cameras that have dual SD card slots typically come with a single UHS-II compatible slot too, limiting maximum potential speeds to a single slot. Second, dual XQD card slots would have raised the cost of manufacturing both Z6 and Z7. In the case of the Z6, it would have been tough for Nikon to price it at the sub-$2K price range. It would have been easy for Nikon to go for dual SD card slots on the Z-series cameras, but dual XQD slots would have been a bigger challenge for the above and other reasons. Personally, if I were to pick between one XQD or two SD card slots, I would pick the former. XQD / CFExpress is clearly the future, thanks to its incredibly fast speed, better build and overall reliability, and I really don’t see the point of continuing to invest in SD or any other memory card formats. Once CFExpress is available, you will be able to run a firmware update and make the camera compatible, so the memory card slot is future-proof. One of the challenges of going to a mirrorless system, is processing all the data that comes from the on-sensor phase detection pixels, as well as the sensor itself. Not only do camera processors have to be fast enough to handle all the data, but they also have to incorporate intelligence for a proper and reliable autofocus system. With the Z-series cameras, Nikon had to push the processing power of the EXPEED 6 CPU to its limits, as there is so much data flowing through the camera. Even then, Nikon’s first attempt at pushing fast and reliable autofocus through on-sensor hybrid autofocus system turned out to be quite good. After shooting with the Nikon Z7 at the Nikon Z launch event, many photographers, including myself, were quite happy to see the camera snap into focus when shooting in a very dim indoor environment – something many other mirrorless cameras still struggle with to date! I expected the camera to switch to contrast-detect AF, but it seemed to engage phase-detect AF at all times. Sure, it was not as snappy as a DSLR, but it still did quite well for a mirrorless camera to leave me pleasantly surprised. Nikon did a lot of things right in terms of autofocus performance on the Z7, even when using Nikon F mount lenses with the FTZ adapter. In fact, I would say that the number of in-focus shots for shooting dimly-lit indoor events would be considerably higher with these cameras compared to DSLRs, especially once you take into account the ability to zoom in on the subject through the viewfinder before taking shots. These focus modes work differently compared to what we are used to seeing on DSLR cameras and I cannot say that one mode directly corresponds to another, as the whole AF system is very different. You might have also noticed that the Z6 / Z7 cameras don’t have a dedicated autofocus button to toggle between different AF modes like other Nikon DSLR cameras. While that’s certainly the case, Nikon’s idea was to be able to program a button of your choice to do this particular function, which you can attach to any of the buttons like Fn1, Fn2 or my personal preference, to the movie record button. Once assigned to a button, you can press and hold that button and use the front and rear dials to switch between different modes like AF-S, AF-C and Manual, as well as particular focus modes listed above. We will dive deeper into these focusing modes when we get our hands on the Nikon Z6 and Z7 cameras, but for now, I am not disappointed by what I see. There is some lag that takes place in the viewfinder and the LCD right after acquiring focus, but it might be related to the fact that I was shooting in a very poorly-lit environment. Potentially, the final firmware on the Z6 / Z7 cameras might eradicate some of these issues. Honestly speaking, I expected the first mirrorless system to have very poor autofocus performance, primarily because of all the challenges that I have seen other manufacturers encounter. Fuji’s autofocus system completely sucked at launch – it was so bad and quirky, that I absolutely hated it on the X-Pro1. I even wrote an article poking fun at its poor performance and my initial review of the X-Pro1 was very negative. It took several years for Fuji to finally address most of the problems, which made me go back and re-review the camera. The same story with Sony – its autofocus performance and reliability was quite poor at launch and it took several generations of cameras to address them. I expect Nikon to be able to polish whatever issues we might encounter quite fast, likely with future firmware updates, which Nikon told me that it is certainly planning to release more frequently for its mirrorless system. While the Nikon Z6 can shoot at impressive 12 fps and the Nikon Z7 is limited to 10 fps, there are some limitations that are worth pointing out. First of all, both cameras can shoot full resolution 14-bit images at 5.5 fps with full time autofocus tracking and exposure adjustments. However, if you want to push the cameras to their maximum frame rates, you will need to sacrifice some things. First, anytime you go beyond 5.5 fps, both cameras will have to lock exposure to the first frame of the sequence. This is generally not a problem, but if you are tracking a subject that is moving from one side of the frame to another (say a bird in flight), it could result in underexposed or overexposed images when moving from darker to brighter parts of the scene. In addition to this, if you choose to shoot in 14-bit RAW, you will be limited to a maximum of 9 fps on the Z6 and 8 fps on the Z7 – anything higher will require that you switch to 12-bit RAW or other formats like JPEG / TIFF (this is primarily due to CPU chocking due to processing too much data). Lastly, the buffers on both Z6 and Z7 cameras are fairly small, so it is clear that Nikon does not yet want mirrorless owners to shoot continuously for extended periods of time at this point. For those needs, DSLRs are still going to be the best choices, as explained in the next section. This table clearly shows the issue – both cameras have fairly low buffer capacities. The Nikon Z6 is limited to a total of 36 images, which means that it won’t be able to shoot for longer than 3 seconds before the buffer fills up in 12-bit RAW (if you shoot in 14-bit RAW, the buffer is going to be even smaller). The Nikon Z7 is not better either – it will fill up in even less time, with its 23 RAW image buffer. I quickly tested the Nikon Z7 at the Nikon launch event and I can confirm that the buffer did indeed fill up in less than 3 seconds while shooting continuously. After the buffer filled up, it took about 4 seconds for it to fully clear. The good news is, the camera is still perfectly usable while images are transferred from the buffer to the memory card, so you can continue shooting, albeit at much lower frame rates. You will obviously need to use third party software to stack images together, but the automation part within the camera is a pretty big deal for product, macro and landscape photographers. Additionally, the front element is covered with fluorine coating to repel dirt and reduce flare. After testing out the Nikon Z7, I have to say that it is by far the best EVF I have encountered to date. While it might be exactly the same EVF Sony and other manufacturers use in their cameras, the overall viewing experience is quite a bit different on the Nikon Z. Perhaps it is the glass that Nikon used, or other optimizations to the viewfinder itself, but it was bright, lag-free and very life-like. In addition to focus stacking, the Nikon Z-series cameras also have a built-in multiple exposure feature that allows creating a single image out of two separate shots, all in camera. The cameras will offer four overlay modes: add, average, lighten and darken. It will display a semi-transparent view of the overlay image being created in order to preview what the final image will look like before taking the second shot. The multiple exposure feature will allow you to select a RAW file stored in the memory card as the first image of the overlay, and allow saving both RAW files to use them individually later. Both Nikon Z6 and Z7 will come with the Electronic Front-Curtain Shutter (EFCS) mode, which allow one to take images without introducing camera shake due to camera’s shutter movement. EFCS will work in all camera modes, so you do not have to switch to a particular mode like silent shooting in order to enable it. Just like the Nikon D850, the Nikon Z7 features three RAW size options: full RAW at 45.7 MP, medium RAW (mRAW) at 25.5 MP and small RAW (sRAW) at 11.3 MP. It is important to note that the implementation of mRAW and sRAW is identical to that of the Nikon D850 – instead of dealing with a flat lossy-compressed file, the images will have most of the data retained within them for you to be able to recover as much shadow and highlight detail as on full size RAW images. The Nikon Z6 and Z7 cameras have a touch-sensitive 3.2″ LCD screen with a total of 2,100,000 dots. The LCD screen has a 170° viewing angle and you will be able to perform standard color balance and brightness adjustments you normally can on other Nikon DSLR cameras. It is a tilting LCD, but it is no different than what the D850 has – I wish Nikon made the screen a bit more versatile by allowing it to also swing sideways like we have seen on a number of other modern cameras, so that the tilting feature would be useful when shooting vertically. The touchscreen experience is the best we have seen so far on any Nikon camera. After testing it out during the Nikon launch event, I was very happy with it and I did not experience any lags. It was great to be able to double tap to zoom in on images and use the screen to scroll through images and the camera menu. 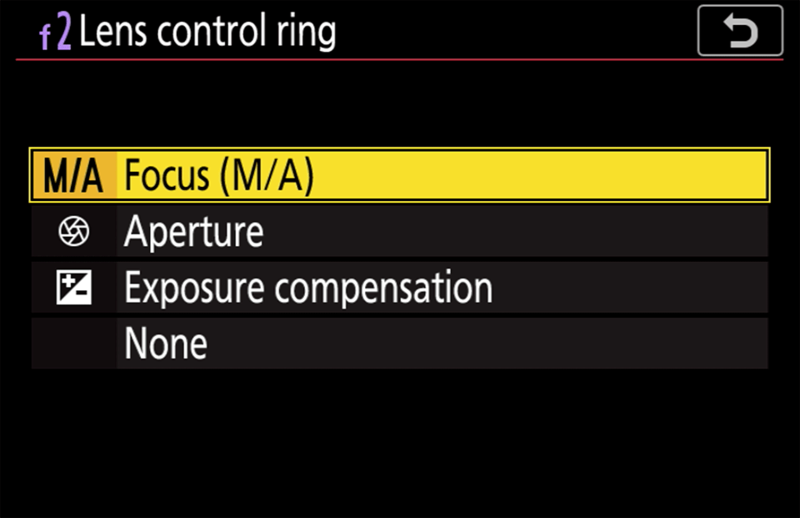 As expected, Nikon has also integrated focus peaking into both Nikon Z-series cameras, which is great for those who desire this feature when focusing. With the mirrorless system, focus peaking will show up in both the camera LCD and the viewfinder. It will make it easier to focus on subjects, highlighting the areas of contrast using a particular color like red, white, yellow or blue, with three different peaking levels. This feature should be particularly good to use with manual focus lenses. Unlike previous implementations of WiFi, the Nikon Z-series cameras can now establish a direct connection to a computer via WiFi for wireless tethering. Thanks to a fast wireless chip on these cameras, it will be possible to transfer both JPEG and RAW images at up to 433 Mbps speeds (dual-band communication via 5 Ghz and 2.4 Ghz is supported). There will be two modes available: camera access point mode for a direct connection from camera to computer, as well as station mode for connection via a router. 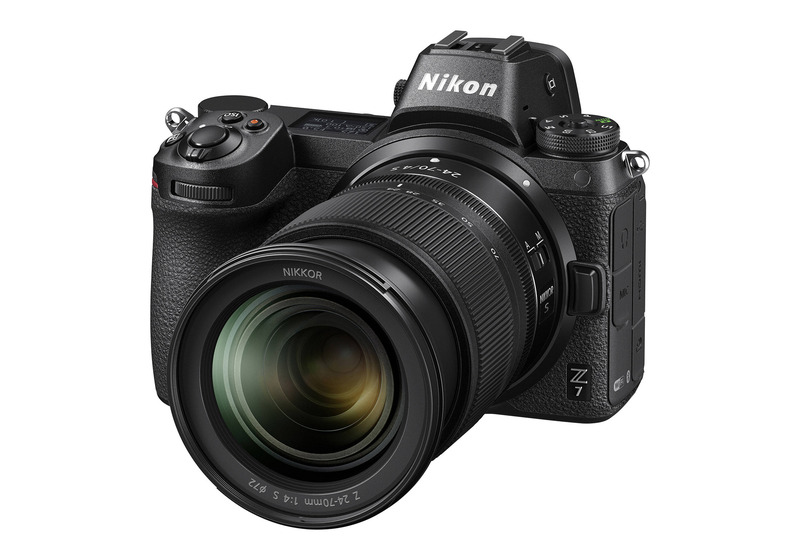 The Nikon Z6 and Z7 cameras also come with the new SnapBridge 2.5 version, which is supposed to be much more stable compared to its previous implementation. 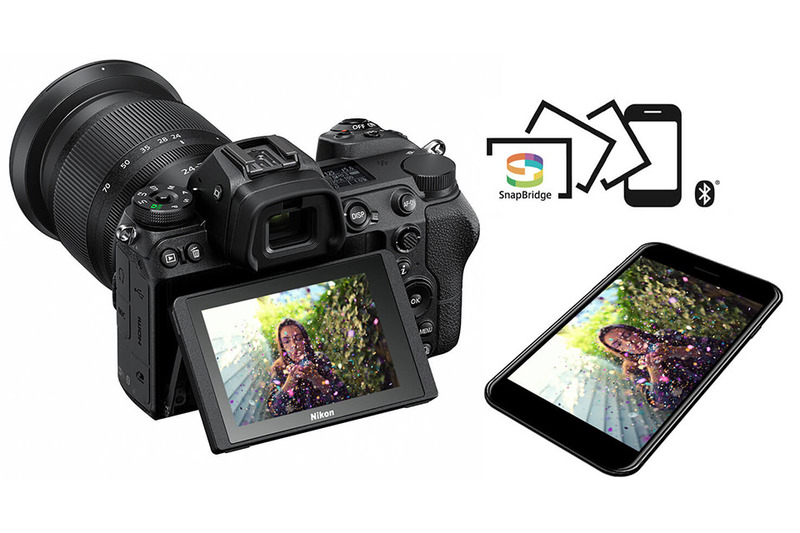 With SnapBridge, you will be able to connect the camera to your smartphone via Bluetooth or WiFi to transfer both photos and videos. Just like on the Nikon D850, you will be able to control the Nikon SB-5000 speedlight from the camera menu, although not directly – you will still need the external WR-R10 transceiver. 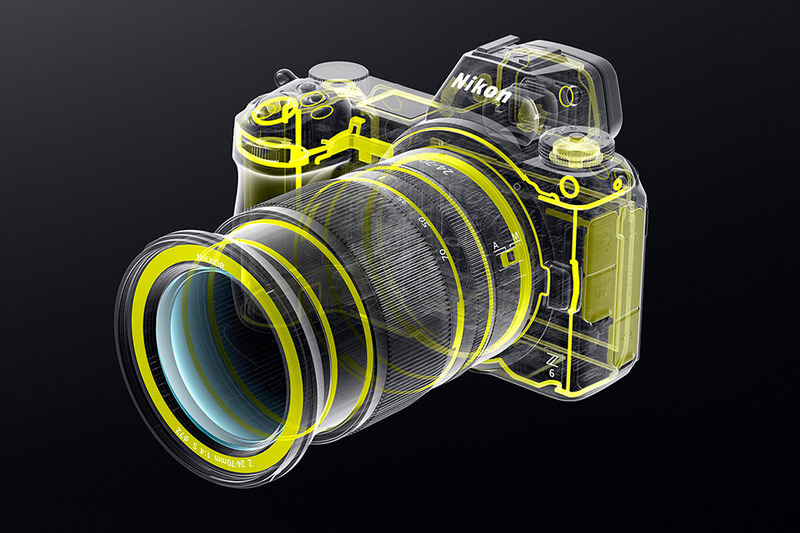 While it would have been great for Nikon to integrate a radio chip into the Z-series cameras in the future, it could introduce interference and have signal troubles when sitting behind the magnesium alloy shell. The WR-R10 transceiver is fairly small and connects directly into the side port of the Z6 and Z7 cameras. When you estimate to receive the production Z cameras for a proper review? Radu, it will only happen when Nikon ships to all customers. I pre-ordered using my Nikon NPS account, so I am hoping to receive the camera at the end of September. We are planning to test it extensively, including all the new lenses, in addition to testing some Nikon F lenses via the FTZ adapter, to see if there are any issues with decentering, loss of sharpness, etc. Thank you, Nasim. Can’t wait for your thorough review. Looking forward to that review Nasim. I hope you have a 300/pf available as that would seem to be the most appropriate tele lens for these lightweight MILCs. What’s the point, with no built in flash.. for better dust etc prpofing How many amateurs going on a Sahara or Congo trip. Total waste to have a small light camera thenhave to stick on a massive flash for essential daily fill ins. Dumb Nikon salesmen listening to some Sahara nut.. I’m out..
Don’t forget to stress NO built in flash.. so not for not for me, thanks. Crazy Nikon designers/sales team forgot most amateurs do not go into the jungle/swamp/typhoon and desert but NEED a built in flash. Thank you for this very informative review. One thing I appreciate about all the articles on PL is the uniformly high quality of the writing. Your pieces are all clear, on point, and, in this day and age, remarkably free of jargon and snark. I always come away knowing more than when I began reading. And now begins the long wait for the Z! Very well written and comprehensive review of the new system. In fact, the best I have read to date. You have given me a lot to think about as I look to add acouple of bodies in the next 2-3 years. I currently shoot a D750 and a 590nm IR converted D600. Looking for one higher resolution body and maybe a future generation DX mirrorless body. The IBIS seems particularly intriguing as I age and my hands are less steady. Given the dozen or so lens I currently own, the FTZ adapter will keep me in glass while I evaluate the new options. I cannot wait to get my hands on one to try it out. Thank you for the great review and I look forward to more comprehensive reviews in the near future – like you did with the D850. Very well written and comprehensive review of the new system. In fact, the best I have read to date. You have given me a lot to think about as I look to add acouple of bodies in the next 2-3 years. I currently shoot a D750 and a 590nm IR converted D600. Looking for one higher resolution body and maybe a future generation DX mirrorless body. The IBIS seems particularly intriguing as I age and my hands are less steady. Given the dozen or so lens I currently own, the FTZ adapter will keep me in glass while I evaluate the new options. I cannot wait to get my hands on one to try it out. Thank you for the great review and I look forward to more comprehensive reviews in the near future – like you did with the D850 too. For me a Z7, thanks. No low pass filter ever more. I would prefer a Z7 with 36 MP at $2.500,00. Great preview Nasim! As always, your take is much more pragmatic and accurate than I see all over the Web and YouTube. Unmet expectations, misunderstandings, and a host of other reasons are causing a lot of hysteria, some of which I am sure will pacify once cameras ship and get put through the paces. For now I rely on your writing, and Thom Hogan’s, to not buy into the current hoopla while I wait for my pre-order to be fulfilled. I’m not sure how this was calculated, but by diameter, the 55mm Z mount width is 125% of the 44mm F mount, or 25% wider — 55 / 44 = 1.25. By area, the Z mount is 156% of the F mount area, or 56% larger — ((55 / 2)^2 * π) / ((44 / 2)^2 * π) = 2376 / 1521 = 1.56. Maybe 52mm was used for the Z mount width? Although, I still come up with 18% wider and 40% larger area. That’s because your base numbers are not what they should be. Nikon’s F mount is 47mm inner diameter vs 55mm on the Nikon Z. The throat size, which is the diameter up until the hinges, is actually 44mm on the Nikon F and roughly 52mm on the Nikon Z, as explained in my Nikon Z vs Nikon F article. I see you’ve updated the Z vs F article so that the mount dimensions table has both throat and inner mount dimensions. Perfect! Thanks. I just want to point out that there is no low pass filter in both cameras. I had a chance to meet Nikon representative yeasterday and I was told that info on interenet is wrong in that part too. InLighted, DPReview is wrong and they never fixed this misinformation. My source is Nikon, and the company says that the Z6 does have a low-pass filter (which makes sense). Understood. Thanks for the clarification Nasim! I wrote to Nikon about this issue. I received an email from Nikon stating that the Z6 does have a low pass filter and that the Z7 does not. Robert, unfortunately, a lot of misinformation was spread based on speculation and initially wrong Nikon specifications. 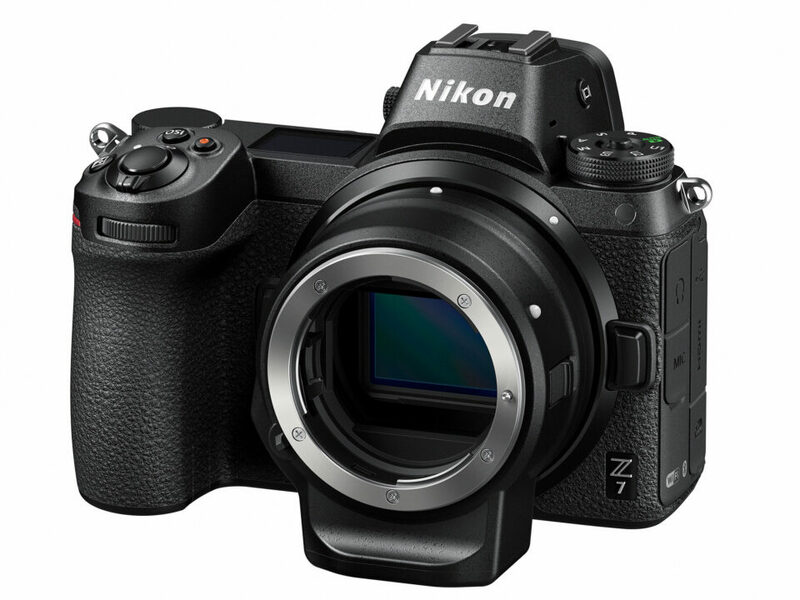 The Nikon Z7 has no low-pass filter, while the Z6 does. It would make little sense for Nikon to remove the low-pass filter from the Z6, because the threat of moire is too high. I confirmed this information with Nikon. Nasim, Thanks very much for all this information. This is great. Your item #3 was particularly important reassurance for me because IBIS was one of the primary reasons I decided to get a Z7, and knowing that it is also important to you lessens some of my self-doubts about whether I was over-exaggerating the value of IBIS. Only time will tell, but I feel better about my decision. I have several excellent Nikon F mount primes that I am really looking forward to shooting hand-held now. Good preliminary review, Nasim! Just regarding point 31. Continuous Shooting Speed Limitations, can you please expand on how focus tracking such as AF-C would be limited beyond 5.5 fps? I do some birds in flight photography so the exposure lock is a bit of a concern, so just curious if continuous focus is locked to the first frame too? If not, how does it work? Thank you! JMC, focus tracking is not affected at all – it will track continuously, even at the highest fps. However, the first shot will lock the exposure, that’s the main limitation. Whew, that’s good news! I saw a YouTube review (from a popular YouTube personality), who said that AF-C didn’t work at 12 fps, only 5.5 fps. Thanks for confirming otherwise! Hi Nasim, can you confirm that from hands-on use? It seems a bit strange that the specifications show High-Speed as up to 5.5fps, and a new High-Speed Extended as 12fps only. This suggests to me that as well as AE lock, there will be some further limitations like AF as well, unfortunately? Just to complete this point now that we have the user manual and hand-on experience: the manual indicates that both AE and AF will be affected at 9fps, and at that ‘Extended High FPS’ the EVF will be slowed to show the previous frame. Hence, 9fps is basically not useable for any motion tracking, only stationary subjects. 5.5fps is the maximum proper tracking mode unfortunately. Hopefully, the Z6 should get up to about 9fps before these limitations kick-in. hope to read very soon your complete review !!! Thanks !! can’t wait to see your photos and read your review .. it’s the only one that I trust ! Nasim. Thank you for the article. It’s fantastic. I particulary like the part about Auto focus system (#29), very insightful. I have one question on #33: Enhanced focus stacking. I’ve read somewhere that this feature is only on Z7, not Z6. This is a feature I’m particularly interested in. Could you please double check? It’s a news article, so its veracity remains to be confirmed. The official brochure mentions focus stacking under the Z7 only, but then again, the Z6 section. Is quite scant. Quang, the information on the Nikon Z6 is quite limited at this time, but I can tell you that based on what I have seen so far, most of the features, including focus stacking, are most likely going to be identical between these two cameras. Unfortunately, Nikon has very limited material related to the Z6 at this point – there is not a single pre-production camera in the wild either. One feature that gets missed is the 1:1 square format. I really appreciated this article. It’s well done and informative, as usual in this site. Thanks for this. Unfortunately I’d like to see native ISO 64 or 50 in newest cameras but seems like Nikon kept it just for the Z7. For me .non-pro shooter, that’s a missing point much more than the single card slot. And I miss a roadmap with f1,4 lenses (at least) given the new lens mount . I’d like to test the camera before thinking to buy it. My d800 is getting old but in the case of switching to the Z mount I’d like to use native lenses just to keep the weight/volume convenience of the MILC sistem . Thank you for this article, the better I saw in the net regarding the new Z mount. In terms of f/1.4 lenses, I know some people out there made a big deal about this, but I honestly think that it was best for Nikon to move forward with lightweight, but extremely sharp f/1.8 lenses, especially when launching a smaller and lighter system. Case in point – which lens is better, the Nikon 50mm f/1.4G or the newer f/1.8G version? The 50mm f/1.4G is soft wide open, doesn’t even get sharp by f/1.8, which makes it not particularly usable when compared to the smaller and much cheaper f/1.8G. I played with the 35mm f/1.8 and 24-70mm f/4 lenses and I must say, I was very impressed by both. Extremely sharp right at f/1.8, which I cannot say about any other f/1.8 lens I have tested in the past (perhaps the exception would be Sony’s 55mm f/1.8). There is no focus breathing and the 24-70mm f/4 seems to be parfocal (again, based on my limited experience with it). Many of us Nikon shooters are putting a big bet on the Nikon Z mount. If Nikon can make lenses as good and better than the three newly launched lenses, it will be a hone-run with every single lens announcement. I second Nasim’s comment here. After briefly trying out the 35mm and the 24-70mm lens, I was impressed. It is compact and light, yet feels great while using it, focusing was quick and silent (do not want to comment on the accuracy yet due to very minimal use). “Many of us Nikon shooters are putting a big bet on the Nikon Z mount” I am too and I think this is the key differentiator (provided Nikor leverages this with very innovative lens designs) that cannot be matched by hardware updates that will happen in the coming years as the mirrorless cameras develop and evolve. Also curious about the continuous autofocus/burst tracking. Some reviewers have stated that the Z7 is great for landscape but not for wildlife or BIF photographers. Your take? What is the maximum frame rate for tracking an object through the EVF at 10 bit raw? Roberto, nobody has really tested the Z6 or the Z7 for real action / wildlife photography. I would wait until production cameras are out – we will do our best to provide the best coverage. As for maximum frame rate, it is 9 fps on the Z7 and 12 fps on the Z6. It will track continuously, but the first image will lock the exposure. Hi Nasim, great post as always. When you get your Z7 for review I’d be very interested to see how low light focusing is using the EVF with the lens stopped down to f11/f16. If like the way I get a DOF preview in liveview with my DSLR but this is difficult in blue hour etc. DP review test shows that the camera stops down aperture only to f/5,6 for depth of field preview for proper work of AF system. If you set smaller aperture it will close it down more only for exposure. Yea I saw that. I do hope that is not the case though, in the same review video I saw an option in the menus for ‘preview’ with the aperture symbol. Maybe this setting will allow full DOF preview..? I consider one of Z camera as video camera for my F-mount glass. Did you test video AF with F-mount lenses? If not, can you please test it extensively when you get a camera? Finally, a “sane” and thoughtful preview of the Z series !! Thank you Nasim. I also pre-ordered through NPS. I’m looking forward to using the Z 7 alongside my 850 and D5. It will be a great learning experience I’m sure. And hopefully when I’m in the field with two cameras, one over each shoulder, my aging body will also thank me that at least one of them will be a Z 7 (as opposed to the D5). Hi Nasim. In section 4 you mention the magic words ‘display a histogram before you ever take a shot’. Was this a generic comment about EVFs, or specifically about the Z6/7? You know that’s the feature we would all kill for! In section 20 you say good riddance to the 10 pin connector. I can see what you mean with regard to flashes, but how about my Solmeta GPS units, which connect to my D800 and D850 via the 10-pin? Alan, an EVF / LCD histogram has already been implemented – I tested it on the Nikon Z7 and it works as expected (the Z6 will have an identical feature). You simply press the DISP button to toggle different information (camera level, histogram, etc). Yes, good riddance to all old-generation cable connections! We live in 2018, so we should be wireless as much as possible… For those who want a wired connection, there is still one available, on the side of the camera. As for your GPS unit, I am afraid that unless you get one that connects through the side (which would probably be inconvenient), you won’t be able to embed GPS info on your images using the same device. There are other solutions available though – Nikon pointed out that the new SnapBridge app and WiFi connections allow taking information directly from smartphones and sync GPS info. Not sure how it will all play out, but that could be an option going forward. Nasim, thanks for this write up, all I can say. There are only a few people I can trust to, you’re definitely one of them. Thank you for your feedback George, I really appreciate it! Thank you Nasim for this comprehensive preview. After the overblown hype and breathless endlessly regurgitated coverage by other bloggs and vloggs, your’s is a welcome take on these cameras. I have been shooting a D800 for landscapes since 2015 and couldn’t be happier. More so since I had it altered by having the AA Filter removed. I could not fathom any justification for going mirror-less over to Sony or Fuji since I am heavily invested in Nikkor and Voitglander glass and was looking long-term at the D850 if and when when the time came. However, your article made some strong arguments that, for me at least; instead of a D850, why not a D7 instead? Scott, glad you’ve enjoyed the article. You are exactly right – many people think that switching brands is a piece of cake. There are 100 million Nikkor lenses out there. Those who shoot Nikon will likely stay with the brand, just because they are heavily invested and are familiar with it. Canon shooters are not dumping their cameras for other brands because they have less dynamic range or less options. Both Nikon and Canon have a very solid user / fan base, with excellent products, so the legacy will continue long into the future. In the Nikon launch event, I met people who have owned Nikon cameras for 40+ years. There was one guy who bought every Nikon camera since the original F. There are plenty of people like them who will continue getting Nikon gear…no blogger or YouTuber will ever convince them otherwise. And no, this is not sheep mentality or fanboyism – it is a personal preference and attachment to the brand. I own a Fuji system, but I never left Nikon, simply because I prefer Nikon to everything else. With the release of the mirrorless full frame system, I will certainly get into it, because that’s clearly the future for Nikon. The mount itself is a worthy upgrade to the Nikon F in every way – the newly announced lenses are outstanding (to be covered in the next article) and I am sure future lenses will be even better. We are entering a new era of technology innovation and I have no doubt that Nikon will not let us down. Simply the best article about the Z7 I have read! Thanks a lot. Any thoughts on a second Nikon adapter that could auto focus the screw drive (AF-D) lenses? I held out as long as I could waiting for a Nikon full frame mirrorless camera and instead continued to shoot film with an F5 and bought small but competent digital cameras like the Sigma DP1 and two Sony RX100s (original and new mVI) for fun. After retiring last year, I bought a very lightly used D3X and the 105 f/2 DC, the 135 f/2 DC, the Tamron 45 f/1.8 VR and 2 Nikon SB-900s, mostly from the same guy. I have a Nikon 80-200 f2.8 D-AF and an old 85 f/1.8 D-AF. The only lenses I own that I am sure will have AF with the Z6 or Z7 are the 17-35 f/2.8 AF-S (parfocal) and the 28-70 f/2.8 AF-S. I need AF! I second that, Kent. But my other concern is: What is about the aperture lever which reads the aperture setting of the AF-D and AI/AIs lenses? Nikon just tells this about the FTZ: imaging.nikon.com/lineu…z/spec.htm and tells MF lenses are supported with metering and M,A shooting mode. Well, I answer my own question: The older lenses with an aperture ring have to be set to the smallest aperture and the aperture is set via camera dial. I am just used to use the aperture ring and forgot about the other method. Sorry. Hi, fellow full time pro Colorado shooter here, NPS since 1990. I have a Z6 on order for a very specific task and that is certain political journalism I do that requires as silent as possible presence in high stakes situations. I currently rely mostly on a Leica M10 for that and do occasionally get away with the electronic shutter on my 850 but I really prefer the mechanical shutter so I don’t have to think about lighting limitations, not really into the gear game as much as the results game. My question is, with the limited time you had with it, what was the mechanical shutter sound on the Z7 like compared to say the D810 which I find to be the quietest SLR Nikon has ever come out with in my experience? Understanding you may not have had a DSLR with you to compare to, just a as you recall assessment would be good. I suppose a lot more of this will come about when the Z7 delivers so that will give me time to asses what the Z6 is likely to be, but for now, my curiosity is unsatisfied in this area. Thanks for your article: I, for one, am definitely happy to hear from more than one source that the batter isn’t as bad as the CIPA ratings would have us believe, that at least seems not to be as big a problem. I still would have rather had two UHS-II card slots than the single XQD one, but I can see why you’d rather the opposite. Something I’ll mention about the OLED screen is that, since black pixels consume no energy whatsoever due to OLED technology itself, that small screen would also draw very, very little power due to it being pretty much a blackboard. I would have preferred another dial rather than that screen but again, that’s just me and I like physical dials. Was any pixel-shifting and astro-tracing mentioned for either camera? I wish Nikon (and every other camera manufacturer, to be honest) would pick on what Pentax has been doing on that front. I’d also like to ask you specifically about the handling: with these quite large lenses I’ve seen very little space to reach the two buttons places at the right of the camera throat, was it easy to reach them? Is there enough space for a solid finger grip when using these chunky S lenses? Thanks again for the insight, have a lovely evening! Thank you so much Nasim ! I read somewhere that the Z6 will have good low light capabilities. I know it’s too early to tell, but I am hoping it is A7SII standard, or even better. I hope to take real time aurora videos, and have to rent a Sony for that, because I do prefer a Nikon after all. Perhaps sensor technology has advanced enough that 24MP sensor sites are good enough for low light. Even Sony didn’t refresh their 7S series. I do not understand why it is good for the Z6 not to have a low pass filter. The D500 does not have any, whereas it is like the Z6 a good camera for sport photography due to its high frame rate number. If there is no low pass filter, you should get sharper pictures. In this respect, it would be an asset for the Z6. Basically, it means that if you use the Z6 for wildlife photography, you will get pictures which are not as sharp as pictures taken with a D500. Well, it does not make any sense to me. What do you think? Thank you for your reply. And by the way, your article is great . Probably the best I have ever read on the Z7 so far. The simple non technical explaination of why the Z6 has a low pass filter is that if you photograph something with more detail than the sensor can hanle artifacts are produced. The LPF removes those artifacts. The high pixel drensity Z7 is less likely to encounter the problem and the lens likely acts as a LPF. Then, why does the D500 (which has fewer megapixels than the Z6) not have any OLPF? I noticed the flash sync is limited to 1/200s and max shutter is 1/8000s. Previously Nikon had 1/250 with faster shutters and 1/200 with shutters up to 1/4000. Why did Nikon limit the flash sync to 1/200s? Here is what I know: These bodies look OK but lens map looks bad to me. All lenses are expensive. Where are the reasonable 18-35, 24-120, 70-300mm and 50mm? Even Sony had to release inexpensive 50 and 85mm lenses. I’m assuming you’ve handled the camera system yourself? You know, sleep is good because it’s time for you to grow up. Why did I read anything before and did not wait for this article? Thank you, Nasim. Your article removes a lot of my doubts and maybe I get used to EVF after all. You seem very enthusiastic about it. Just a few things bother a bit: a) the start up time: if you get used to immediate start up to go back is hard and b) the AF system: again, if you got used to a very fast and solid AF e.g at lower light, you may run into unexpected situations and I miss the dedicated button to change the AF settings and c) the faster frame rates with the locked exposure and the small buffer (could be on purpose because of the heat produced by the sensor). Btw, the largest viewfinder of a Nikon ever until today has the FE2 and FM2 with 0.86x magnification, the D850 has “only” 0.75x, even the great FA has 0.8x. Do you know what’s the flash sync speed in Auto – FP Mode? The 1/200s flash sync speed looks to me the more disappointing feature in this camera. Would it be possible to change it in future firmware updates? With the high flash synchronization features like HSS, Hi-Sync or Hyper-Sync (check e.g. Elinchrom homepage for details) or how they are called otherwise it does not really matter if the regular sync is 1/250 or 1/200 sec. Both sync rates are not really usable as flash photography at daylight is used very commonly nowadays e.g. in action and sports photography or to override the sun (which needs fast shutter speeds as 1/4000 sec or even 1/8000 sec). I use my Nikon cameras underwater with underwater strobes. There is no HSS option for underwater strobes. For me the flash sync speed is the highest shutter speed I can use with my cameras. As such a small difference like 1/320 to 1/200 is a huge difference for me (with my Nikon D800 in can use 1/320 in auto-fp mode with no problems, above that I get a black bar on the bottom of my photos). I see. In that case the difference indeed matters. Maybe we will see HSS underwater strobes one day. Imagine you could use any shutter speed, the possibilities of lightening of a scene is of another kind compared to a minimum 1/320 sec or 1/250 sec. I use my cameras underwater and there’s no HSS option for any underwater strobe. The flash sync speed is the highest shutter speed I can use with my cameras so any difference is a big difference for us underwater photographers (ideally we would want higher flash sync speeds than the 1/320 that we can get nowadays with Nikon’s high end DSLR’s). Thanks Nasin for this fine balanced review. After all the hype and tolling, your review has been an absolute pleasure to read. It is clear and precise and adds a much needed perspective about these new cameras and the development they entail. I would like to make a request for the reviews on these two cameras. Please see if you can determine the buffer limits at 5.5 FPS for each camera when shooting at 14-bit NEF. Also, if possible, the buffer limit on the Z6 when shooting at 9 FPS and 14-bit NEF, and the same on the Z7 when shooting at 8 FPS and 14-bit NEF (I believe those are the fastest FPS rates you can shoot on those models at 14-bit NEF). As a sports/action shooter, the fixed AE at higher FPS rates concerns me, and I don’t know why Nikon did this. The Nikon 1 system, which can shoot at even higher FPS rates, does not have the AE issue (however at some of the higher FPS rates on the Nikon 1 system the AF is fixed). I am happy that the AF is always active, no matter what the FPS rate is. Also, I believe in Silent Shooting mode, when shooting in FPS, the AE is also fixed based on the first frame. The one important feature i was disappointed the Z7 did not have is Eye AF (iris focus lock and tracking) as seen in the Sony A7R111. Wait until Nasim review’s his Z7. Thom Hogan also covers that in his book. The best summary I’ve seen about Nikon ML cameras so far. Thanks Nasim. I wonder if it’s feasible for Nikon to manufacture a battery grip that includes the second XQD slot? Good thoughts and insight, Nasim! Did you notice if images could be previewed while the camera was shooting? Or the menu accessed during a long exposure? This has been a pain with Nikon DSLRs for night timelapses. You can’t look at the last image while the next long exposure is shooting or change a menu setting unless you leave a very long interval between images, and I’ve heard rumors that Nikon fixed that with the Z series. The images can be previewed in the viewfinder while shooting. During preview, takes another image blindly. Going from preview to live is rather slow with the viewfinder going blank in between. The Nikon rep said that was because there was no memory card in the Z7. Seems 500PF lens is also out of your attention Nasim. Since the launch there are on Z7 n Z6 everywhere. LOL. Hope you will review soon. 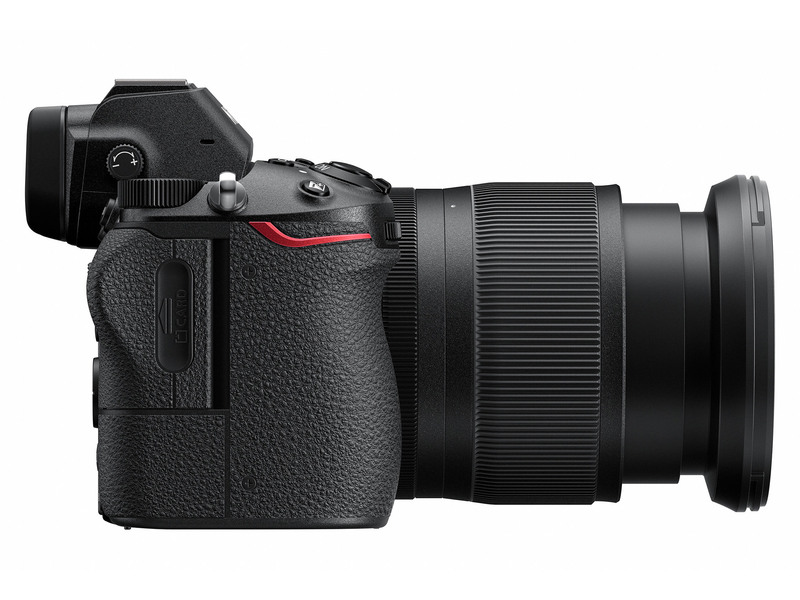 It will be tough to get that lens for a while – pre-orders are crazy on it! There should be some way of warning readers that this person on you tube or the web is not professional. His words are misleading. There are dumb people out there using pretty strong language against these products for no good reason it seems. One stupid question that I could not find an answer so far online. On my D850 in LV if I am using say A or M Mode and I dial in f5,6 in example the lens closes accordingly. Means less light on the sensor and preview of the depth of field in example. Wonder if the mirrorless cams do this similar. While it sounds nice it comes with a downside as the focus in dim situations and at higher f-stops gets more difficult. As always, a great article. I had the pleasure of playing with the Z7 at Grays of Westminster in London yesterday for 30 minutes, with a Nikon rep available to assist. Thank you to Grays! –	The EVF is exceptional – clear, no lag and it is fantastic to see the image as it will be – true WYSIWYG. It was way above my expectations and compared to other EVFs I’ve tried before (admittedly earlier generation MLs). –	Great build quality – solid, good shape, easy to hold, buttons in the right places and as an existing Nikon DSLR shooter totally intuitive and easy to use. –	Hard to gauge AF inside in poor light but it seemed absolutely fine and quick. –	The adapter worked well and I could not sense any difference with the F lenses (50mm f1.4 or the 105mm f1.4) in terms of focus speed – worked just like before. –	The inbuilt VR seemed to work great – also with the F lenses. –	Hard to gauge the new lenses just from looking at the display, but the zoom is really quite compact (although I will wait for the f2.8) and the 35mm was a bit bigger and heavier than I expected (that relates to the glass and quality). So I am on the waiting list for the Z6, and can’t wait to get hold of one … it will probably take a bit of time … it is sure to be a popular camera. Maybe I should stretch to the Z7 … ?! Hi Nasim, I am in a great need for continuous wifi tethering (for dental applications). For now I use expensive and bulky nikon WT-7A wireless transmitter that automatically sends the captured image to ftp server after shooting. Can you please confirm that Z6/Z7 has this functionality WITHOUT additional adapter? Kudos for all your beautiful articles and valuable informations regarding photography and equipments. I own D750 with various lenses new and old. And I am happy. Recently I decided to go for D850 but I held back learning about the Nikon Z7 and Z6. I had meanwhile procured Nikon ES2 to digitise my slides and I am happy there too. Further down the road I intend to digitise my negatives as well. That is only possible with D850. If Nikon has held it back to introduce on their future Mirrorless model then it is a matter of shame. I would be grateful if you could find it for me and for your other faithful reads. Great review as always by Nasim. Great all round camera. A bit disappointed that subject lock-on in continuous AF requires pressing the OK button once and another click on the OK button to release tracking the subject. This is bad for switching between moving subjects like a football game. Canon has released a 28-70 F2.0 for it’s mirrorless FF camera! Let’s wait and see. So I guess if you were to choose one camera between Z7 and D850 you would choose Z7? Hi Nasim, I`m tryng to keep up to pace with the new technologies but something in the z7 menu is intriguing me. ¨difrfaction compensation¨, I guess it is something advanced because I have not seen this before…. Any idea about what is this new feature?? Good review Nasim – 41 points of what makes the Z7 a contender. 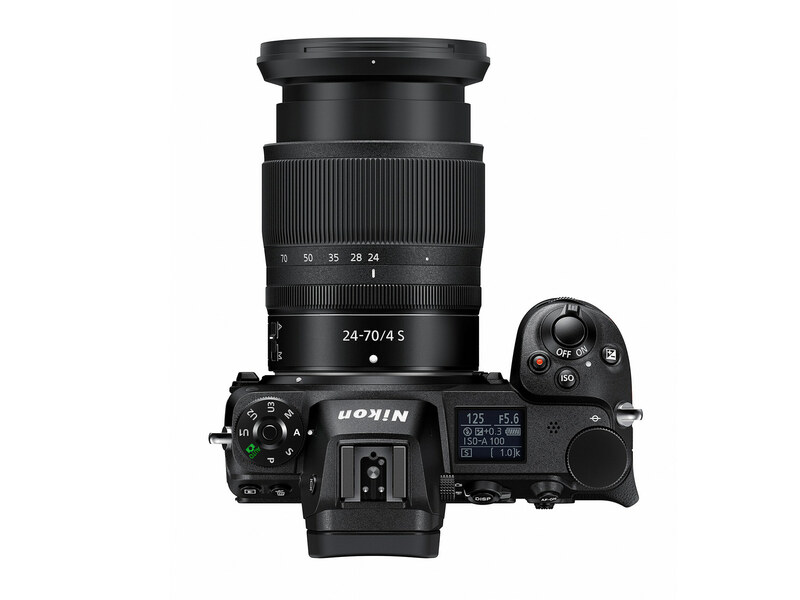 However for me its not enough – the highlights being the presence of IBIS, sensor based AF and the promise of great lenses in the future due to the larger mount is alluring but… $3400? I was praying for a D850 in smaller clothes, but not ’emperors new clothes’. Overall, pretty disappointed and now waiting to see what the specs of the Fujifilm GFX 50R are before pulling the trigger on a D850. I will be waiting until the cameras are released and production models are tested before spending time reading anything more about the new Nikon bodies. To me this is all speculation until you see actual production machines and they are tested. Nikon discontinued its Nikon 1 lineup of mirrorless cameras this past July. Isn’t this just a camera company struggling to sell something new rather than something better. At least one of you past commentators wrote an entertaining piece on photographers seeming endless search for the new thing. I hope it is the case that the aperture ‘only’ stops down to f5.6 when shooting at smaller apertures like f8 or f11 , because then the autofocus system stands a chance of working in a dimly lit studio strobe environment. My mirrorless Nikon A is often unable to focus at all indoors when stepped down to f8. I’m really hoping the Nikon Zs will be great studio cameras with their ability to put the focus anywhere in the frame, but they need to be able to find focus as well. How feels the newly styled front wheel. Seems Nikon abandoned the rubber coated wheel with a plastic looking one with a finer fluting. Thank you once again for a clean and precise review Nasim! I like your lack of excess technical jargon making the read so much more easy and understandable. Once you do your in-depth review I do hope you do a comparative study with the Olympus OM-D E-1! Have you tested the Tamron lenses on the Z7 or Z6. I saw the Z7 at a press event and put my Tamron 70 200 f2.8 on it and got an error msg. It would focus a few seconds and then the error msg popped up. I did not try my Tamron 24 70 F2.8 on it but wish I would have now. I just wondered since you said third party lenses would work on it. Anyone else having any issues viewing the raw nef files from the z6 on MacBook pro? Lightroom doesn’t even want to read the nef files. I wonder why Nikon just can’t make the Z6-7 body slightly taller so the it can be more suitable for people with bigger hands and perhaps allow space for the second card slot. I’m using a studio flash setup where I manually set shutter speed, aperture and ISO. The monitor and viewfinder essentially blank out. Is there anything I can do to view the image and use auto focus? Nasim, thanks for the great article. I recently purchased the Nikon Z 6 with the 24-70 f/4 S lens and FTZ adapter. So far I love it. 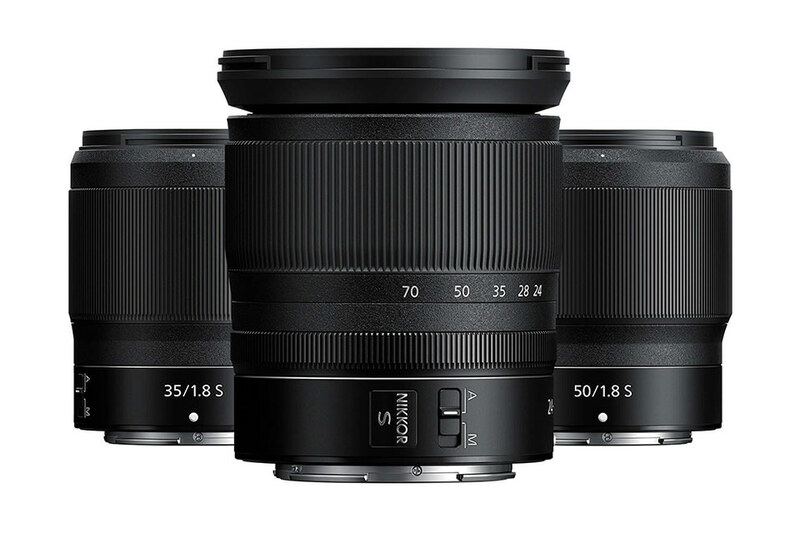 I am really looking forward to the 14-30 lens to being released. I just starting testing my current flashes with it. I have both SB-900 and SB-910 flashes. I miss the pop-up flash for flash commander use but I also have PocketWizard MiniTT1 & FlexTT5 radios. So far, I have only been able to sync with the PocketWizards up to 1/320 but that is probably a setting I have incorrect somewhere. I have been exploring options for RF without the PocketWizards for simplicity. I have been looking at the SB-5000 upgrade with the WR-R10 but have also read in one or two places that Nikon may be planning a flash specifically for the Z lineup. Have you heard anything about possible new flash for the Z system?